Adapted from Jonathan Safran Foer's best selling book, EVERYTHING IS ILLUMINATED is a delightful and thought-provoking contemporary folk tale about the Holocaust and Jewish diaspora diluted by a decidedly disappointing denouement. Still, the journey is worth taking and this directorial debut by Liv Schreiber will leave you smiling and, most likely, scratching your head just a little bit. The superb cast includes Elijah Wood, Eugene Hutz (who "hurts" the English language like never before), Boris Leskin and Laryssa Lauret. You may not be familiar with these last three actors, but you will surely remember them for a long time to come. Although this relatively low budget, independent feature contains a number of flaws, it is highly recommended by Needtovent.com. The shift from a Fellini feeling to a Bergman burnout doesn't quite work, but Schreiber and company deserve praise for taking risks and hitting more often than missing. 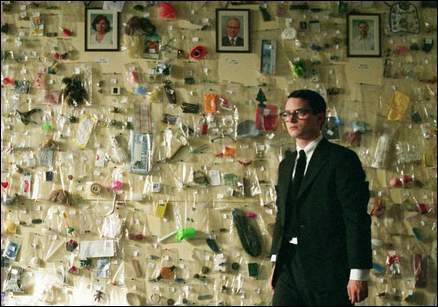 And how can anyone dislike a film whose budget for Ziploc Bags is unparalleled in the history of world cinema? Perhaps the highest praise we can give EVERYTHING IS ILLUMINATED is that WylieWayne will surely hate it. We can assure you that's reason alone for anyone tired of the typical Hollywood formulaic special effects extravaganza to seek out this semi-precious gem. i really enjoyed this film...i'm glad.